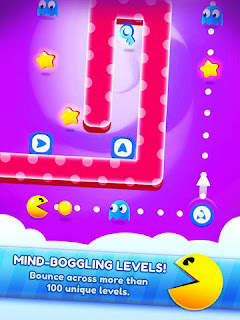 Pac-man returns in a new puzzle strategy game by Bandai Namco called Pac-Man Bounce. Travel through different mazes and of course, avoid those pesky ghosts as you collect stars and the key to unlock the next level. Chomp your way through Snack Land and help PAC-MAN bounce his way back home through a food-filled frenzy of epic proportion. Can you smash through the sandwich-stuffed island of Picnic Park? Or perhaps cruise Candy Caves for some sweet treats! JUMP into PAC-MAN's latest juicy journey: bounce on walls, bypass obstacles, waka waka on PAC-DOTS, avoid ghosts, collect stars, and grab keys to win! This definitely is not your traditional Pac-Man. I'd say it's more Cut The Rope meets Angry Birds in that it's all about figuring out the correct pattern to advance while collecting the maximum 3 stars. For those of us who remember the traditional Pac-man, the characters are about all that remain. 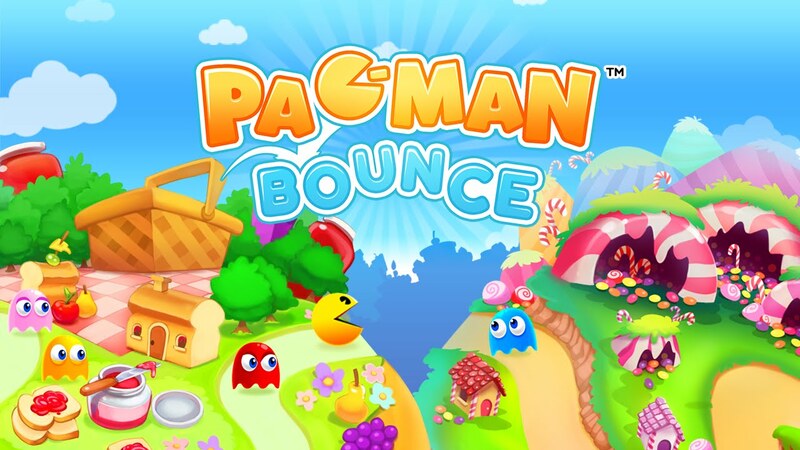 The "Bounce" name is really deceiving and should be called something like Pac-man Mazes. For kids, this might be a fun alternative to something like Cut The Rope and a new way to introduce them to the retrogaming character. The app is free to download with the option to purchase cherries for energy or spinning the Pac-wheel for helps. 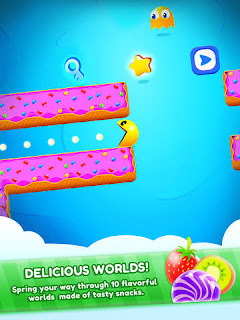 The game also features the option to watch videos to gain small amounts of energy and cherries to progress in the game. There are pop-up ads as well (too many in my opinion) when you progress from level to level. The first 20 or so levels were pretty easy, but there are some relatively challenging levels after that. You can also earn hints by watching videos if you get stuck on a level. I am glad that Bandai Namco continues to create games for one of the most iconic video game characters, but 38 levels of Pac-man Bounce (some completed by my son) was enough for me.